The best hotel in the world stands in Japan. It is called Tawaraya and only has 18 tiny rooms. Most of them are barely 15 square meters big. Tawaraya has no lobby, Tawaraya has no pool and it doesn’t have a restaurant or a breakfast buffet. Tawaraya doesn’t have a website, no spa, you will have to sleep on the ground, and you certainly can’t book it via booking.com. This is an impressive list of flaws that would disqualify any western contender from even maintaining the title luxury hotel. 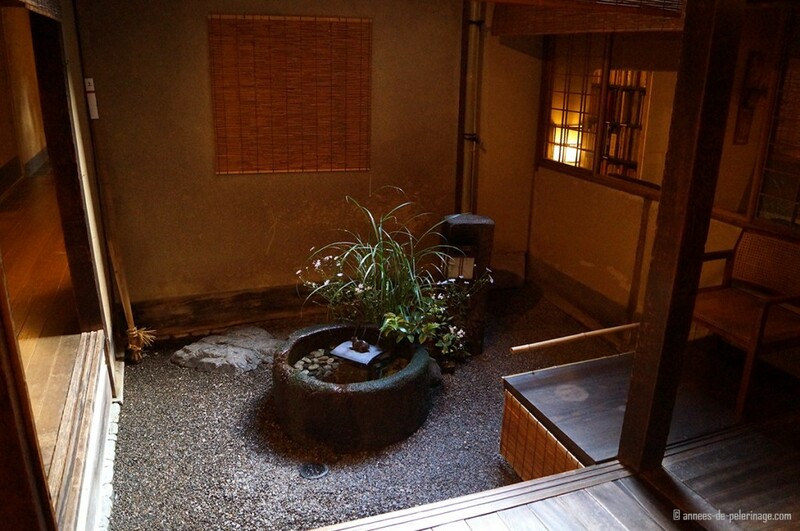 Yet it is my honest opinion this little Ryokan hidden in a back alley of Kyoto’s inner city is by far the best hotel in the world. The video was filmed during my stay in Octobre 2013. The music dates back to that time as well and was recorded at a private Geisha party (ozashiki) I had during that stay. I returned for another 5 nights to Tawaraya in October 2017 and it’s still as pristine (included some pictures from this time as well). From outside it looks like a brownish shanty. Most western passersby wouldn’t even consider this is a hotel, let alone the best hotel in the world. And in a way that is true. 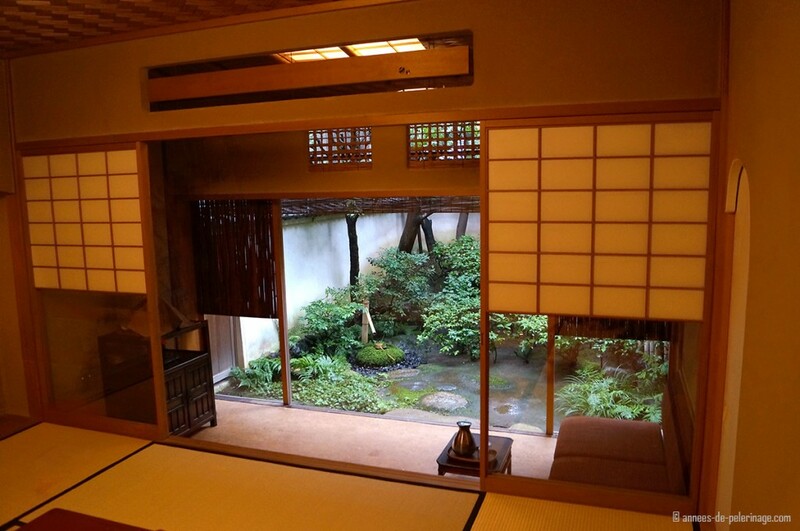 The Tawaraya is a Ryokan – meaning a traditional Japanese inn. 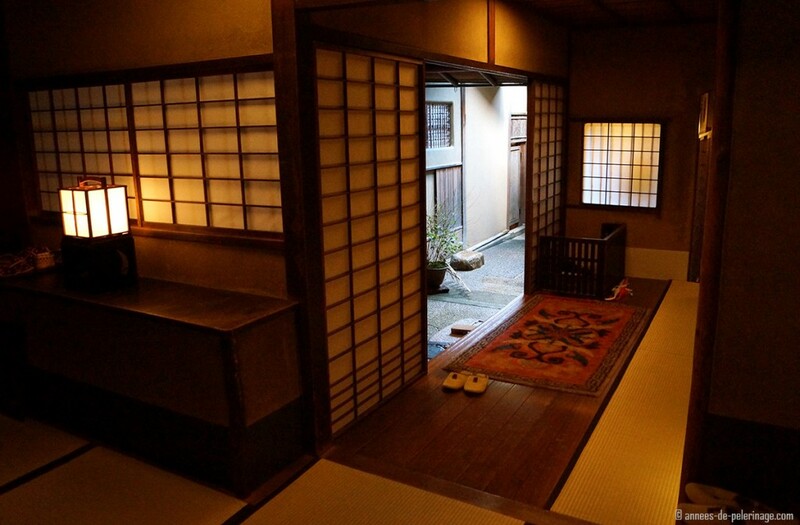 That means the floors will be covered with tatami mats, where you will live and also sleep on. 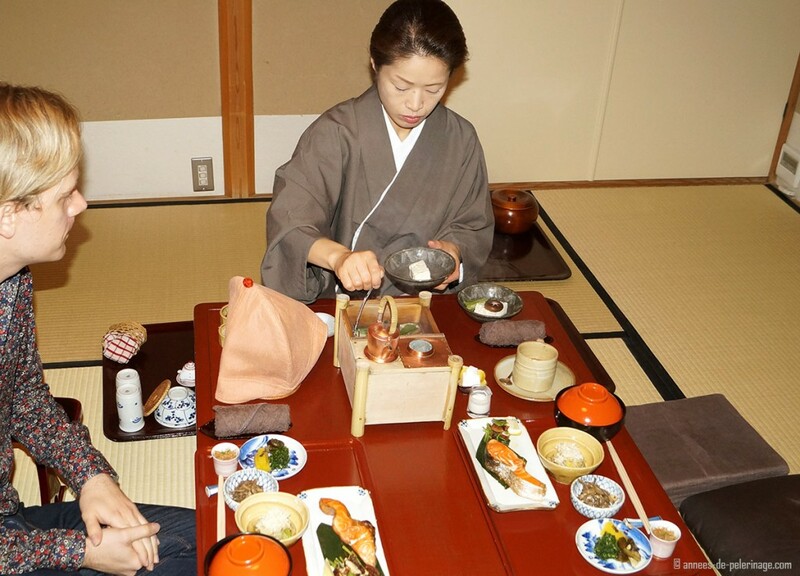 Meals will be served en suite and equally being served on those tatami mats. Those Ryokans can be found throughout Japan, but none of them will surpass the Tawaraya. In fact, even mentioning the name will have Japanese people look at you in awe! 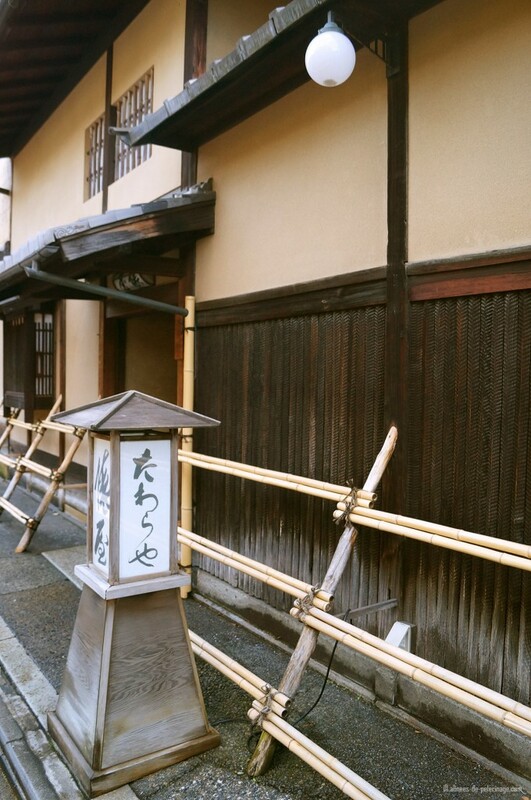 There is so much tradition connected with the Tawaraya it beggars any comparison with a western hotel. While the latter are maybe 100 years old, Tawaraya is roughly 300 years old – run by the very same family ever since. This long history enables the Tawaraya to bring service to an unheard level. So when your taxi will halt in front of the non-descriptive building, it will take a mere 3 seconds until one from the staff will rush out to greet you. He will usher you over the wet floor of the ancient entrance into another world, a world where time stands still. 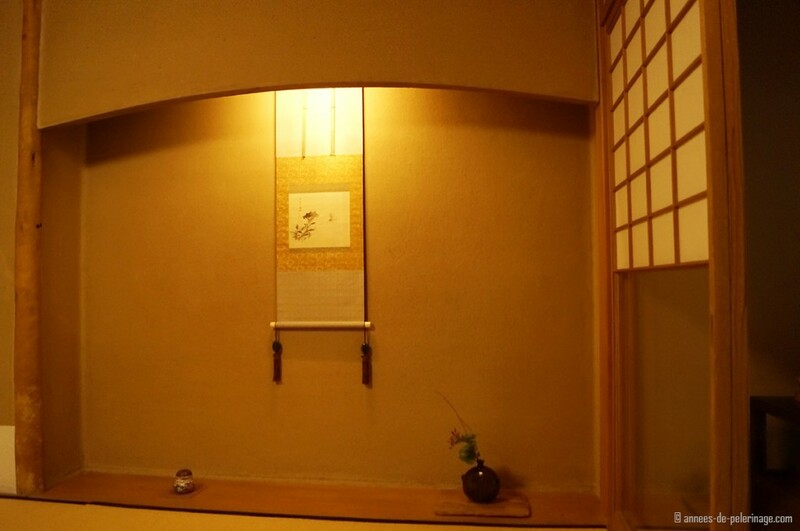 Typical for a Ryokan (or any other Japanese traditional house) you are not allowed to wear shoes inside. At the Tawaraya there is one staff member exclusively responsible for your shoes. He will help you out and in of them, sitting on an ancient tapestry with a priceless golden folding screen behind you. He will dry them, polish them, scent them, and lay them out for you in perfect angles. Never will he give you the wrong shoes and never will he be late for his service. With plush house slippers on (which feel like a million dollars), your private butler will guide you right away to your room. There is no lobby and barely a small aisle which passes as a reception area. That’s about the time when you will first remember your luggage that still should be in the taxi. But no worries – by the time you reach your room it will already be waiting for you. How that feat is possible, I do not know, though, since you are taking the only route to your room and it certainly will not pass you. 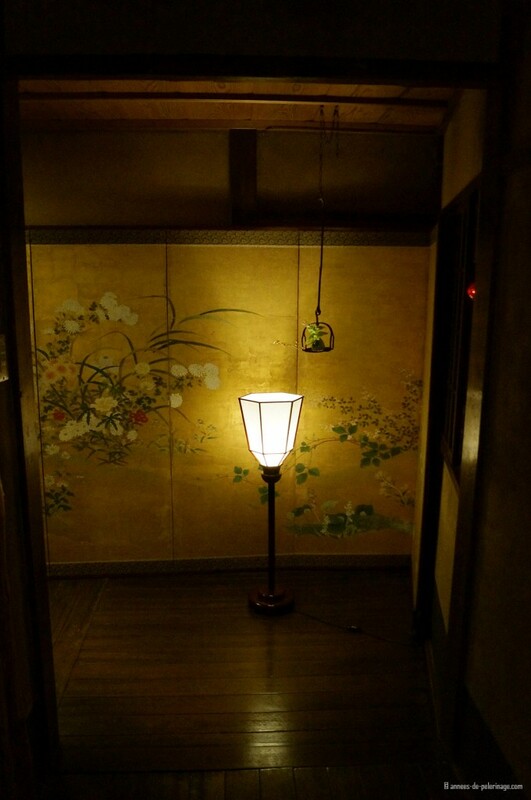 The aisles of the Tawaraya are dark, even during the day, and lit by small lanterns. Here and there a golden folding screen will gently reflect the subdued light- all in all, priceless antiques and pieces of art. The Tawaraya owns one of the finest collections in Japan, and a couple of books have been written about those. Some of the objects are displayed in alcoves, others in tiny courtyard gardens or in the serene smoking room, open to all guests. It seems almost impossible, but yet during all of my stays at the Tawaraya, I only once passed by another tourist in those aisles. The Tawaraya is almost always fully booked. 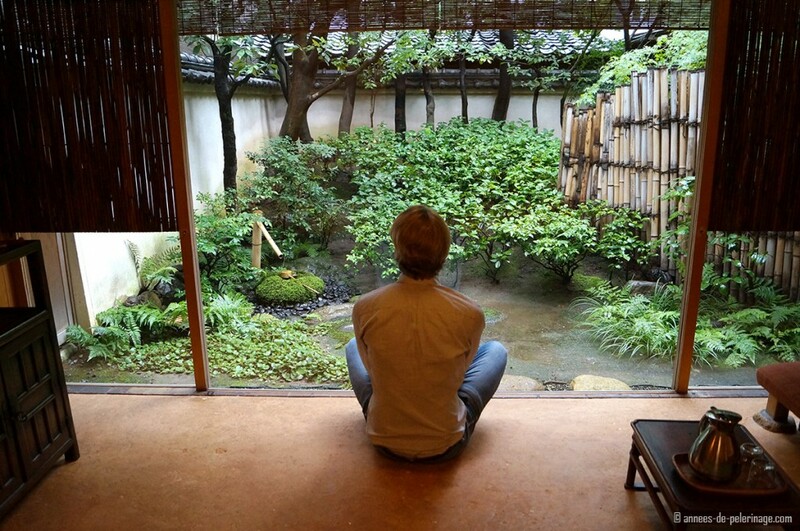 So perhaps the most important aspect of the Ryokan is perfect solitude. I have not found another place on earth so suitable to forget the worries of the days. It sure comes at a steep price (~1000 USD per night), but it is all worth it! 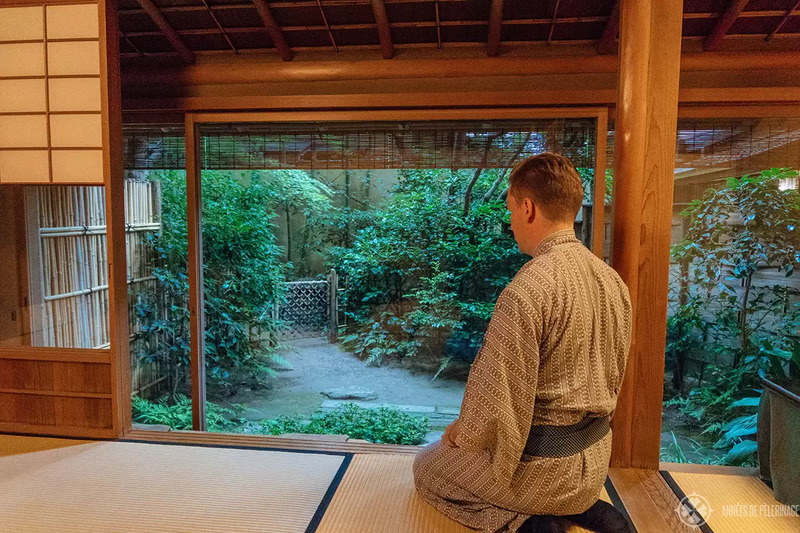 Now when I told you that Tawaraya Ryokan in Kyoto would be the best hotel in the world, I should probably lose a word about the rooms. Your room is basically the only part of the house you will get to see. 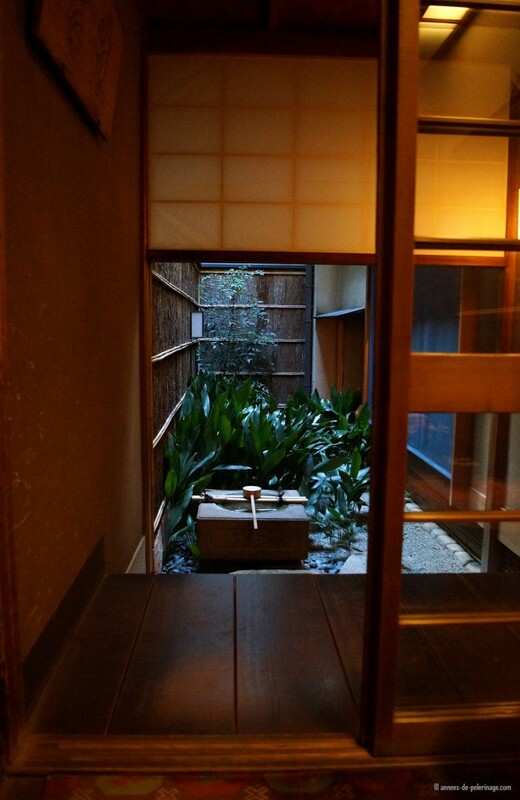 Now if I told you that each and every room has access to its own private Zen garden and hot spring (onsen), that probably doesn’t sound half as bad anymore, eh? 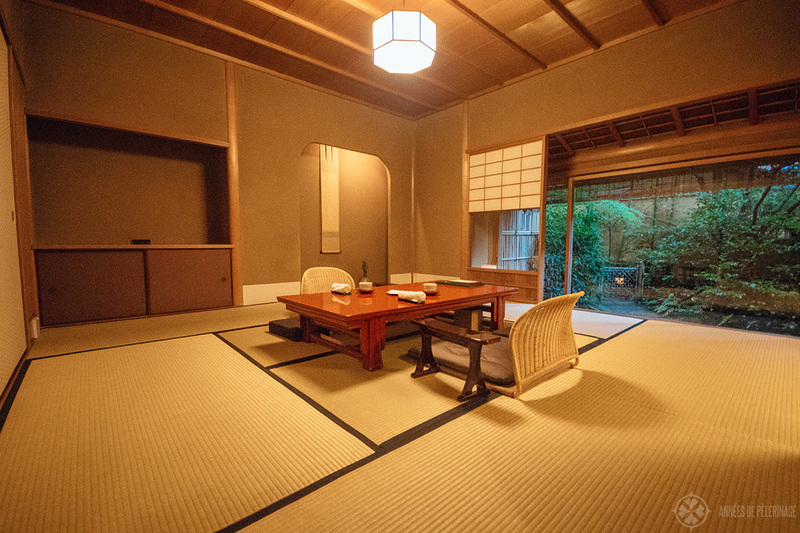 All in all the rooms embody the utmost heights of traditional Japanese architecture in a way very seldom seen these days, even in Japan. I already mentioned the tatami. But not just any tatami are used. 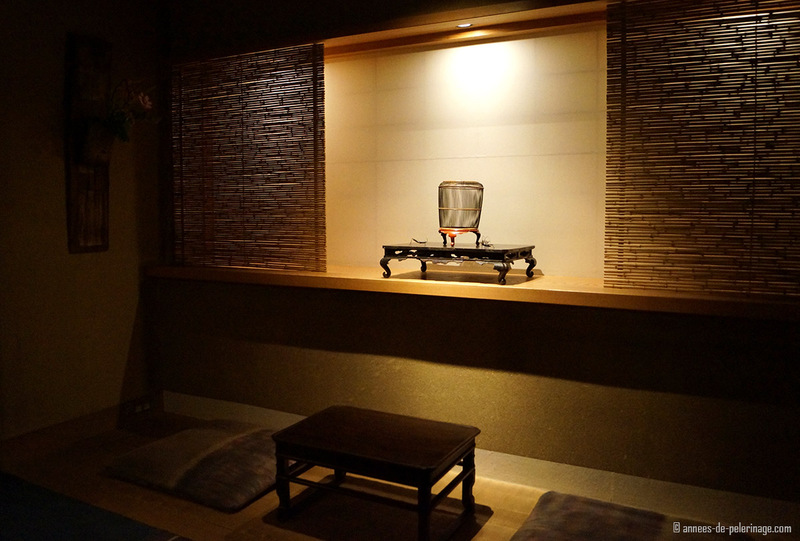 The Tawaraya only uses traditional rice straw tatami mats from the oldest and most prestigious manufacturer there is – while resting of Japan, barring perhaps the emperor himself, falls back on synthetic alternatives. 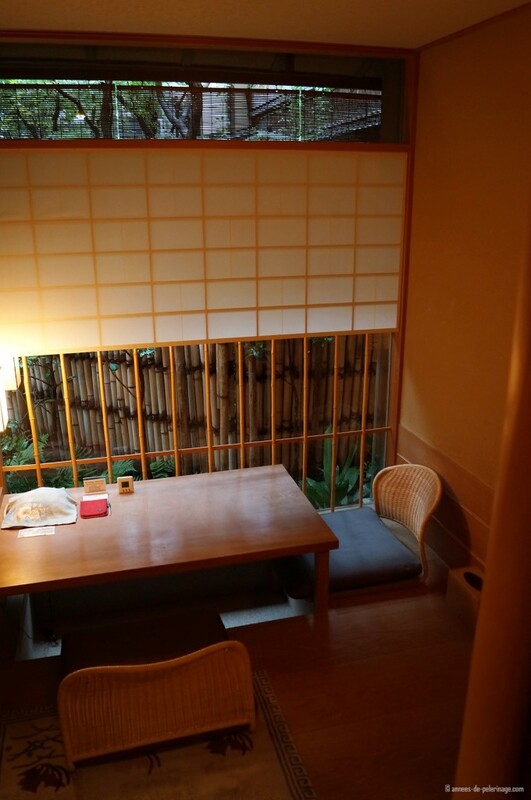 Of course, the rooms only feature sliding doors (shoji). There is probably a story or two to be told about these as well. 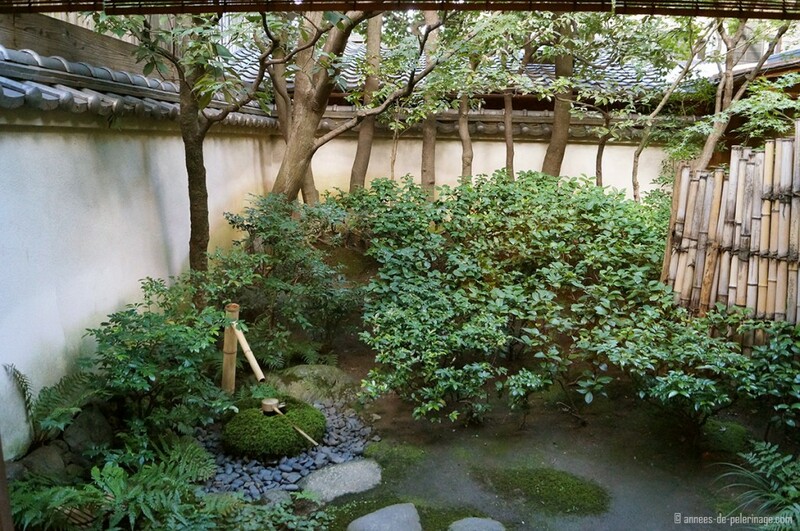 It goes without speaking that there is a tokonoma – an alcove presenting a rarefied selection of priceless art, a hanging scroll and the finest ikebana for contemplation. All items precisely fit the current season, your presumed tastes and that specific day. All rooms will also feature a little sitting area and a work desk. Technical gadgets (like TV, phone, etc) will be hidden away, so it is even easier to forget the strains of your everyday life while sipping a steaming cup of tea. Okay, I put that wrong, sipping a steaming cup of heaven. For many travelers, the bathrooms of a hotel are very important. And of course, it does make all the difference whether you start your day under a lush rainforest shower or perfunctorily hose yourself down with a creaking sprinkle of cold water. 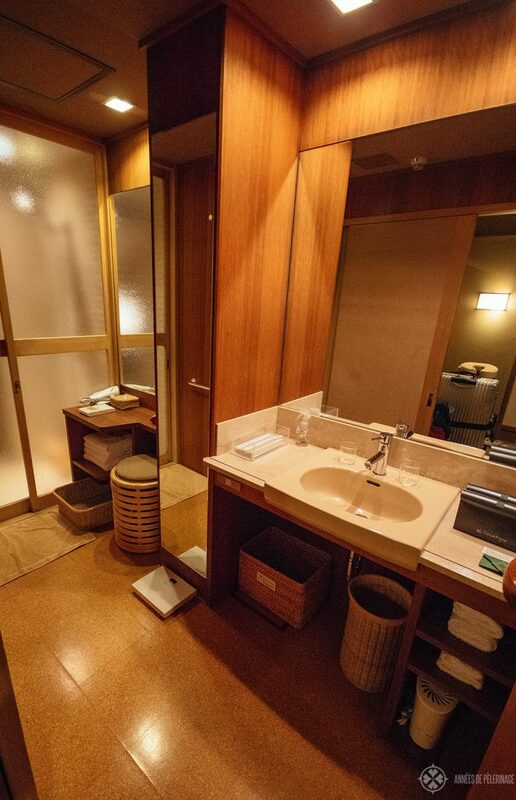 Now it has to be admitted that the bathrooms of the Tawaraya are tiny. But they are also perfect. Each room will have its own private hot tub. This hot tub will be a traditional Japanese one and made completely out of cedar wood. The water will be, quite through a miracle, always hot when you need it most. You know it should be cold (having no own heating system) and without water to begin with, but your butlers somehow know when to prepare it without even asking you. They just know! Oh, and did I mention that the hot tub will have a beautiful view of your zen gardens? And before you ask: of course the Tawaraya offers you exquisite hygiene and spa products (their own brand) in the bathroom, small as it may be. If I was to tell you, the food at the Tawaraya is Michelin star quality, you’d probably answer that it is not listed in the famous restaurant guide. That, however, holds true to a lot of establishments throughout Japan so famed for its food. Tradition always has two sides. And so many restaurants and hotels in Japan refuse to be listed in the Michelin guide. Can you imagine that? 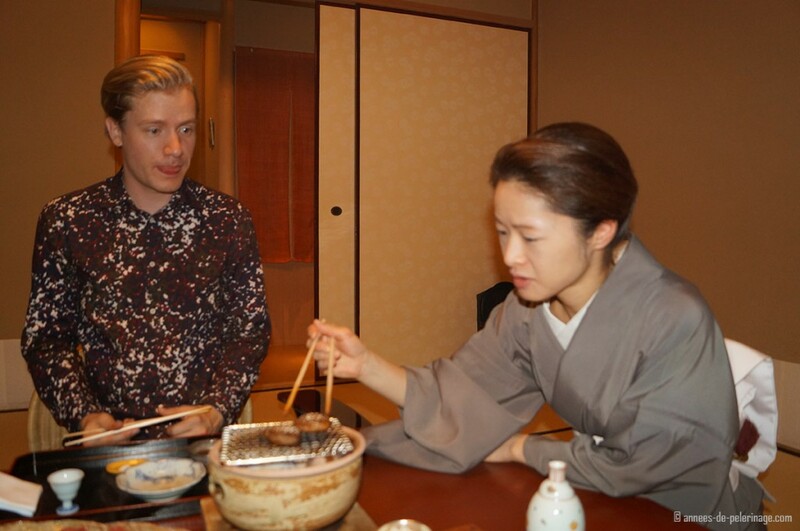 Their reasoning: It does take refined tastes and experience with Japanese culture and customs, let alone etiquette, to fully appreciate their services. So they don’t want to attract customers who won’t understand their mastery or, even worse, customers, they don’t understand so they can’t cater to their every whim and need. All food is included in your room fare at the Tawaraya. That is customary in Ryokans. In fact, most Japanese will stay only one night at a Ryokan – solely to enjoy the spa (read onsen) and to lavish in the extraordinary food. 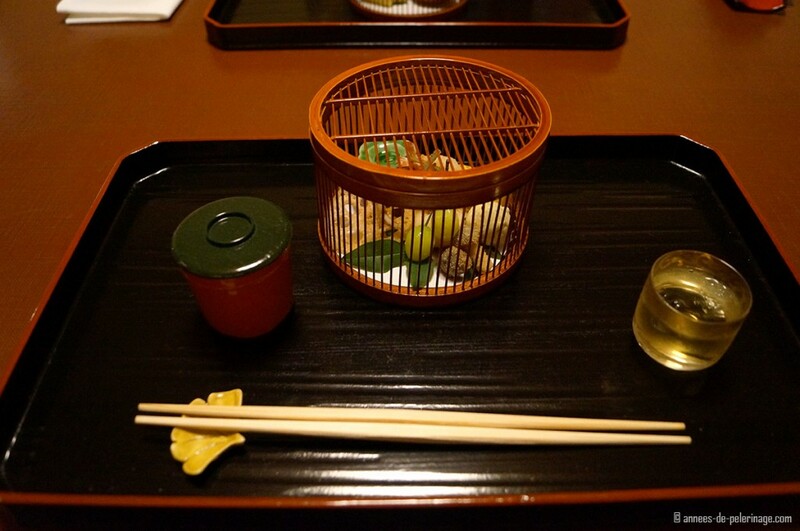 Located in Kyoto you will only get Kaiseki at the Tawaraya. For those of you who don’t know: Kaiseki means a multi-course menu, where each course is set according to an ancient schedule. Each individual course is perfectly balanced and only uses seasonal ingredients. More than that – decoration, both in terms of dishware and edibles also follow the seasonal theme. You will find kaiseki dinner around Kyoto no matter where you go, but few, if any, will beat what is served at the Tawaraya. 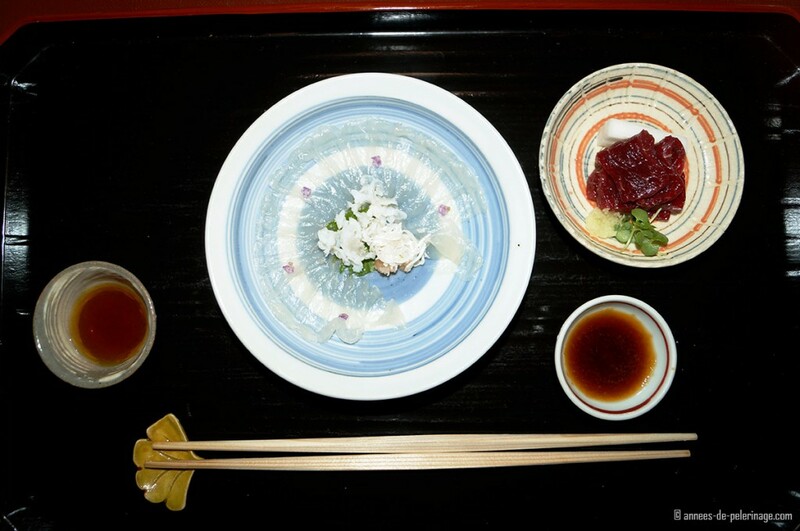 Just to illustrate above is a platter filled with Fugo (Japan’s deadly pufferfish specialty) on the left and succulent slices of a whale on the right – all served on ancient lacquerware and that is just one course out of nine. And I’ll share a secret with you: the next course was pristine cuts of Kobe beef grilled to perfection by my butler in front of me. But naturally, the food service at the Tawaraya goes beyond even that. Your morning will start with a morning cocktail served by your butler at your bed. That is the most pleasing way to combine waking service with the need to pack away your beds so breakfast can be served. A multi-course breakfast will then follow shortly after. Again only the freshest and choicest ingredients will be served. Lunch is not included. But the Tawaraya owns a restaurant a few meters away that serves the arguably best Udon noodles in town (Personally, I’d opt for a little more variety, though). One day I asked my butler during breakfast about the easiest way to reach Fushimi Inari shrine from the Tawaraya Ryokan (read my review of the spectacular temple with its 10.000 red gates here). We sat together over a map and she described me her favorite route. After breakfast, I got ready and left the Tawaraya. Concierge service at the breakfast table is good, but the story goes on. On my way out one of the porters silently approached me and said: “Schwarze-sama, we checked the weather forecast and there will be rain this evening. So here is an umbrella to take along. Also, we took the liberty of reserving a table at that restaurant you wanted to go. Oh and last thing: here is a city plan for you where we already detailed down the way to Fushimi Inari.” It goes without saying that the guy responsible for my shoes already set out my hiking shoes and not one of my city or evening shoes. Even he knew of my plans. And to reveal the most amazing part of this experience: On my way out I was worrying where to buy an umbrella, wanted to ask the concierge to reserve that very restaurant for me (never even indicated I wanted to go there before!) and would have been asking for the city map. Yet they somehow knew. 300 years of customer service at its best! Kyoto is a world of its own. 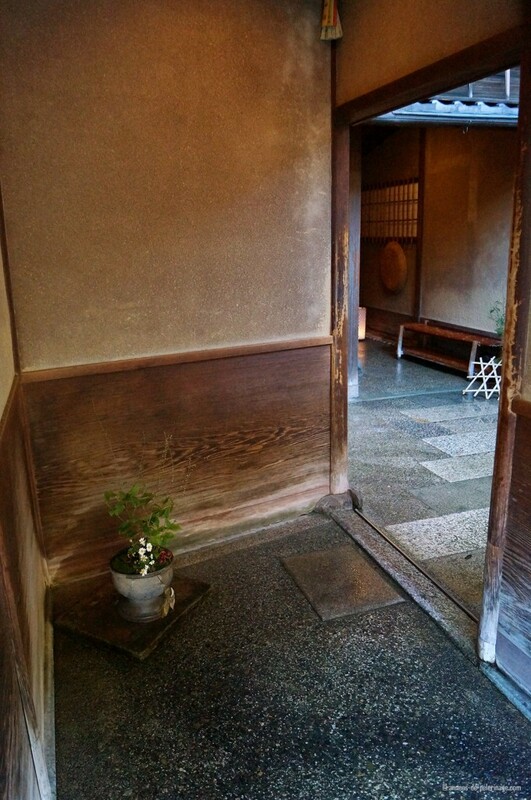 So much tradition is condensed on such a small space. 17 UNESCO World Heritage sites can be found here, 95 Michelin Star Restaurants (!!!) 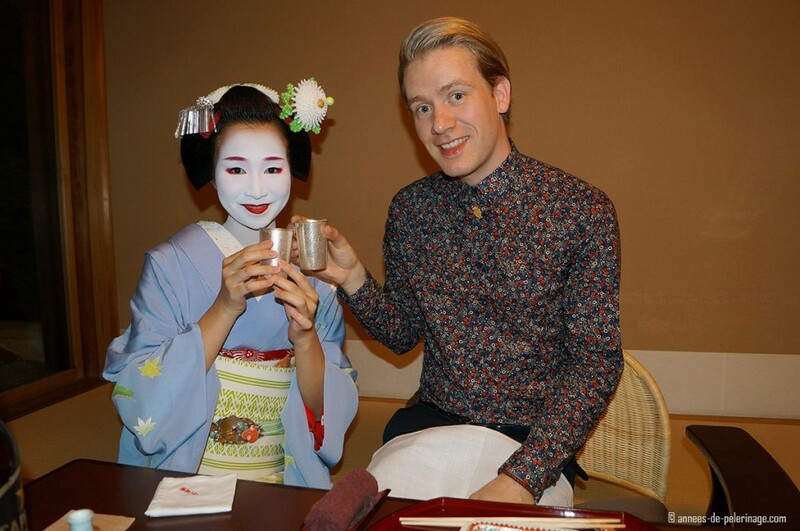 can be dined at, and of course, there are the famous Geisha. 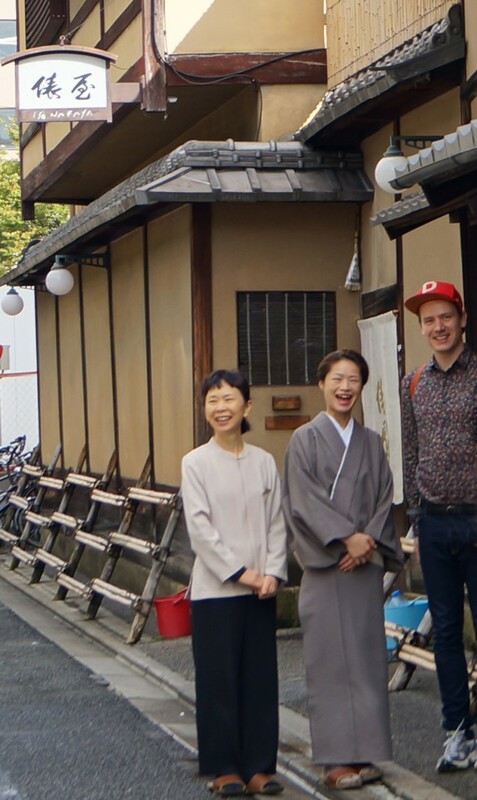 So no matter what kind of activity you will want to do, I’m more than positive the staff of the Tawaraya Ryokan will be able to help you along. 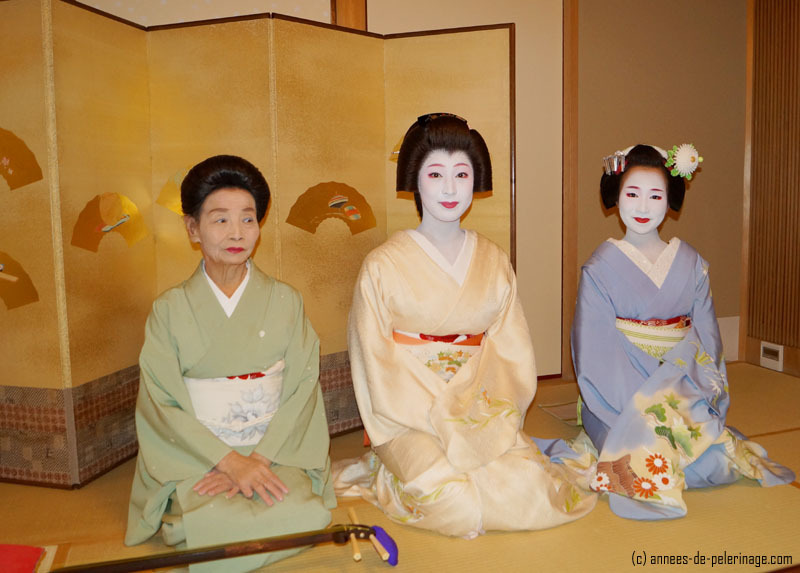 For me, they introduced me into the secret Geisha world (Read my review of my first private Geisha Party). A closed world, nobody without an introduction is able to enter. Most tourists probably don’t even know it exists. That is another reason why I think the Tawaraya is the best hotel in the world. You can pimp your hotel rooms and spa any way you want. You can get bloggers to post overexposed HDR Instagram pictures and buy yourself into weird rankings that are mostly compiled by people who got sponsored trips to those very locations. But what you can’t buy is a history. You can’t buy the perfect service. There are no textbook answers, but only those would be able to afford you with the perfect experience. The Aman luxury hotel chain is the only thing that comes close in my opinion. 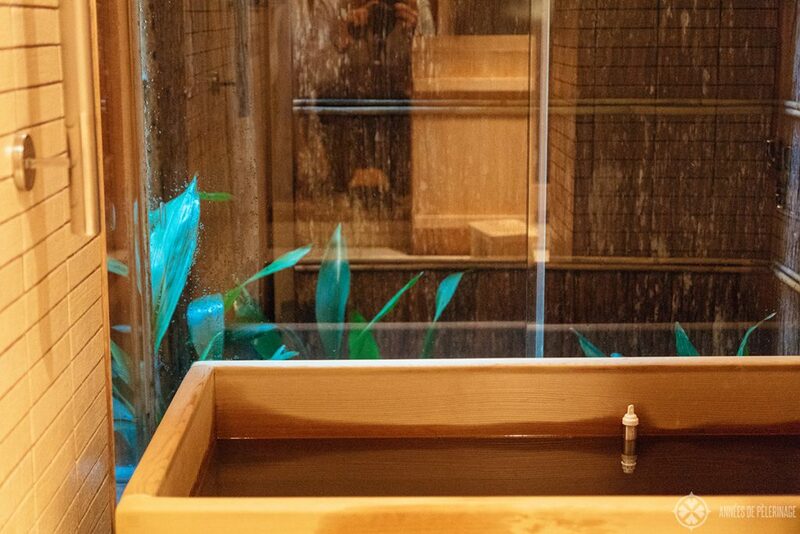 But only close and most travelers I talk with don’t even know Aman exists (make sure to read my review of the spectacular Aman Tokyo), yet alone the Tawaraya Ryokan. I’ve stayed at every six-star hotel chain in the world. Read for example my review of the Belmond sanctuary Lodge in Machu Picchu, or my review of the Six Senses on Koh Yao Noi, or George V Four Seasons hotel in Paris. All of them have bigger rooms, larger spas and share a unique location. But the level of service at the Tawaraya is completely unattained by any of them, and maybe even unattainable. 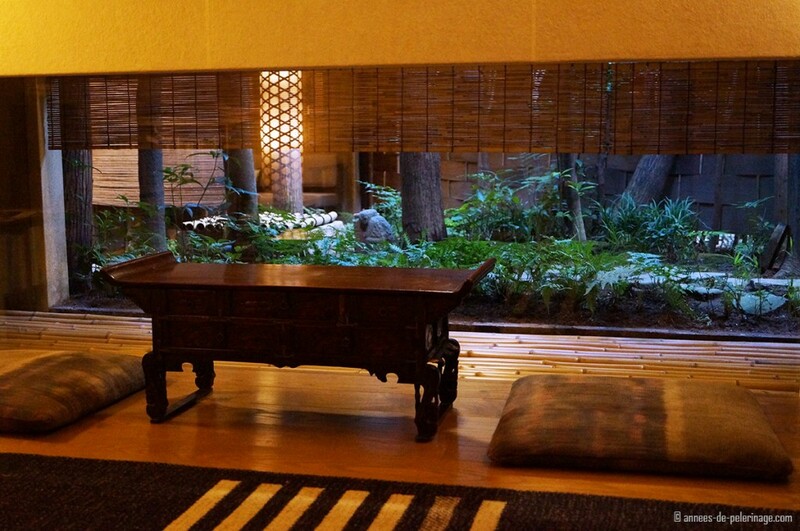 The service at the Tawaraya, along with the historic building, the ancient Japanese art & culture all around you, your private zen garden – all this buffers you in an unimaginable cloud of serenity. 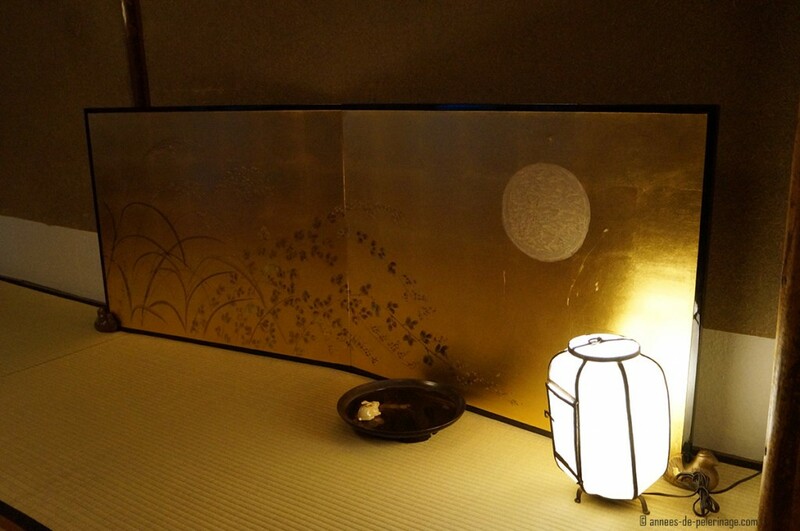 Had I only three days of holidays each year, I’d spend them at the Tawaraya Ryokan every time. 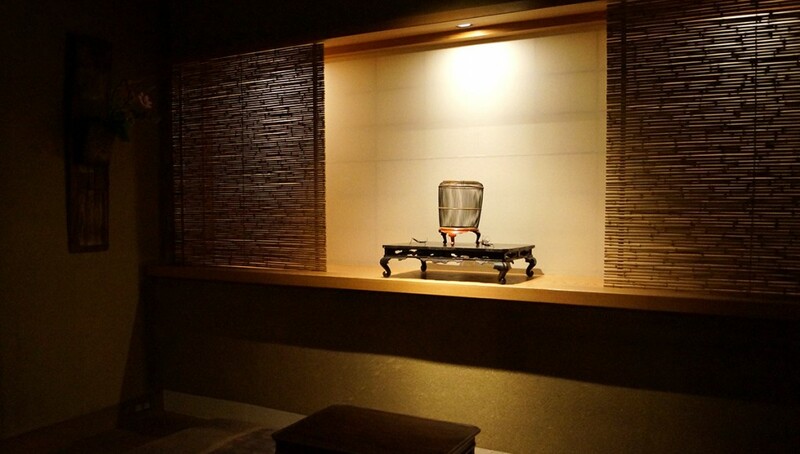 72 hours are enough to forget everything behind the avalonic veil of the perfect guest experience at the Tawaraya. 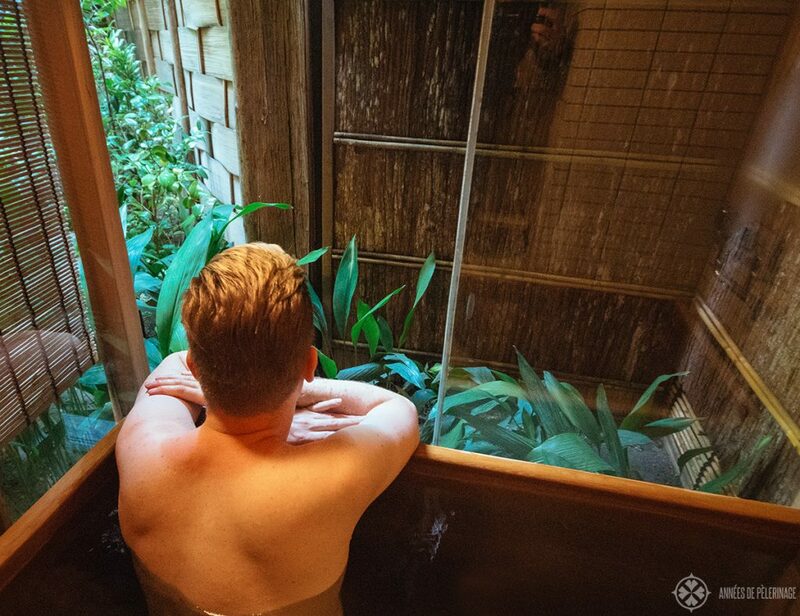 A word of warning, though: If you are not familiar with Japanese culture, if you don’t speak the language and if you are not a guy or a girl for quiet contemplation, then the Tawaraya might be the wrong hotel for you. Appreciating the many aspects of the Tawaraya Ryokan needs experience – experience in the way of culture, language and luxury hotels. You probably will never regret staying there, but you might not be able to appreciate it in full. Disclaimer: I had no association with the Tawaraya whatsoever when writing this review. My opinions are my own, and so was the money that paid for my stays. Thanks for the review. It seems impossible to find a way to book a room in this hotel Can you please advise how and English speaking person can book a room? Thank you for a wonderful post! We are seriously considering staying at Tawaraya this spring (previously stayed at Hiiragiya, which was lovely). Re the private geiko party, do you think it would still be worthwhile if we don’t speak Japanese beyond a few words? well, I am not entirely sure. I had the feeling that in recent years the opening towards western tourists is on the recline. Japan became really popular among Chinese in the past few years and the influx of too many tourists hunting for pictures hm…well it feels like it is a problem that needs to be dealt with. You can ask them anyway if they want to arrange it. Note: you would have to do this way in advance. Some few Geisha speak some English, but generally speaking, I’m not sure if it is worth the 1,000 USD for two pretty pictures. I’ve been reading your other posts too, they are great! You have to book it in a two-step process. First via telephone and then they’ll send you a fax. Could you post the exact location of it?